You may order by phone, fax, e-mail or by mail. For phone orders we recommend you have your order ready and your credit card information handy. International callers, please call 1-831-462-0521 between 9:00am and 6:00pm P.S.T. Daily. Thank you! Our Fax number is: 1-831-462-1210. Anything on our site can be customized as a gift ensemble. The perfect way to send a gift. 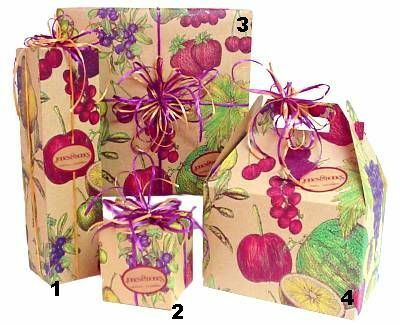 For only $5.00 select items can be custom gift wrapped with our signature wrap - includes tissue, sizzle, and a triple hand-tied bow with a custom gift card. We will gladly put together custom gift ensembles for your corporate clients. When ordering Picnic At Ascot Products these unique items can be customized for corporate gifts that leave a lasting impression of quality. Customer must provide black and white, camera ready, or color separated art work. Screen printing available. Call or for a quote. Consider us your personal shopper. Please call our creative gift designer, TJ at 831-462-0521, or simply . If you are not completely satisfied with your purchase, please call our customer service department at 831-462-0521, ask for T.J.
Whatever it takes, we promise we will do everything we can to ensure that you are not only satisfied with your purchases, but that you have an enjoyable online shopping experience. If merchandise is damaged in shipment, please notify the carrier and be sure to get a signed delivery/pick up receipt from your local carrier. Please save all packing materials for the shipper to inspect. All returns must be made within 10 days of receipt. In our 25+ years of business, we've never had anything damaged in shipping! *Please note: All rights reserved. We are a retail store. We do not sell wholesale, nor do we manufacture anything we sell.